Bankruptcy Attorneys can help navigate the Bankruptcy laws that provide for a means to help the consumers who are unable to pay their creditors a way to obtain debt relief through the division of the consumers assets. Bankruptcy is a means for a debtor to make a fresh start and not be punished for their inability to pay their debts. Bankruptcy laws allow certain debts to be discharged after the available assets have been distributed – even if the debts have not been paid in full. A Chapter 7 Bankruptcy permits you to forgive or “discharge” most of your debts while allowing you to keep most of your assets. A “discharge” is a court order that releases your from all of your dischargeable debts and orders your creditors not to attempt to collect them from you. In a Chapter 7 Bankruptcy case unsecured debts such as credit card debts, signature loans, and medical bills, could be discharged. Certain debts cannot be discharged in Chapter 7 including, but are not limited to, student loans, child support, alimony, property awards in divorce cases, certain taxes, debts obtained by fraud and certain debts incurred shortly before filing bankruptcy. Chapter 11 Bankruptcy is often referred to as a “business reorganization.” Chapter 11 Bankruptcy allows qualified business (and individuals) to reorganize their obligations and pay their debts with a new payment plan, but allows the business to continue to operated while paying their debts. Chapter 11 bankruptcy allows the creditors to be actively involved in the debtors’ financial affairs by having a vote on the businesses financial plan. Chapter 13 Bankruptcy is a debt consolidation proceeding by allowing a consumer or business owner to restructure their debt. A repayment plan is structured by you, your Bankruptcy Attorney and the court so that the consumers payments are reduced and made more affordable. Even when a consumer is unable to repay all of their debts in full, they may be entitled to receive a discharge of their remaining debt at the end of the payment plan. If you home is in foreclosure, Chapter 13 of the Bankruptcy Code can consolidate your debt and will all you to keep your home while steadily reducing your debt to a manageable level. Any San Antonio bankruptcy attorney will tell you that one of the most difficult aspects of their job is managing the various emotions and feelings that come along with the decision to file for bankruptcy. Unfortunately, as any chapter 7 bankruptcy attorney in San Antonio knows firsthand, there is an incredibly prevalent stigma that has been placed on people who file for bankruptcy in this society. However, if you have filed for bankruptcy in order to get the debt relief you need with the help of your lawyer, you have nothing to be ashamed of. If anything, a chapter 7 bankruptcy attorney in San Antonio will tell you that you have a number of reasons to be proud of your decision! Most notably, you have made a decision to get relief from debt collectors calling you. You’re now on the road to financial freedom and security, and a fresh start for your family. Your bankruptcy is no one’s business but your own. This means that you are under no obligation to speak about it with anyone. That being said, you may find yourself in better emotional health if you are willing to reach out to your friends and family for assistance. Some people may respond less than positively to the news of your bankruptcy. Although a San Antonio bankruptcy attorney will be the first one to tell you that there is no shame in needing to file for bankruptcy, many people still believe that it is a decision that represents rock bottom. Do not allow those people to influence your decision-making or your emotional health and wellbeing. There will be questions. Although you no doubt made the decision to file for bankruptcy after much careful thought and consideration, many people with whom you choose to share the news will have questions for you. In terms of answering their questions, a San Antonio bankruptcy attorney will say that you have two options. First, you can elect to answer them with the same careful thought that you initially put into your decision. Second, you can choose to tell them that your personal finances are a private matter that is not really up for discussion. 1. Find an attorney and schedule an initial consultation. Many spouses of deployed service people are reluctant to contact an attorney. However, it is important that you find an attorney early on in the process so that you can protect yourself and your interests. 2. Look for a counselor who can help you process your feelings. It is hard enough to be stateside while your spouse is deployed, but if they have asked for a divorce, you will have even more feelings to contend with. Meet with a counselor or therapist who can help you deal with your feelings. 3. Begin collecting the necessary documentation. Your attorney will be able to help you figure out which documents you need. Take this time to start hunting down all the paperwork you will need for your divorce. If you can find it all without consulting your deployed spouse, even better. The fact of the matter is that, after your divorce is final, you are going to have to pay more expenses on less income. This is a good time to contemplate a budget for how to do that. Furthermore, this may be a good time for you to start saving money for yourself. As many states require a set separation period before the divorce is finalized, you should pursue steps to get the separation clock started while they are still deployed. Then, when your deployed spouse returns, you will be able to finalize the divorce. 6. Determine what you are going to do with your time and your life. Most people who are going through a divorce do not have the luxury of doing so while their soon-to-be ex spouse is thousands of miles away. This is a good time for you to think about what you would like to do with yourself, outside of the context of ‘spouse’ where you have probably been living for some years. Most of our discussions about bankruptcy and debt relief have centered around consultation with a Chapter 7 bankruptcy attorney in San Antonio, Texas. This is because Chapter 7 bankruptcy has become the most common form of bankruptcy filing for people seeking debt relief. However, there are a few advantages to filing for a Chapter 13 bankruptcy instead. Here is what you need to know before you file, according to an expert Chapter 13 bankruptcy attorney in San Antonio. In your quest for debt relief, there are certain advantages to consulting a Chapter 13 bankruptcy attorney in San Antonio. One of the biggest advantages is the fact that a Chapter 13 filing gives you a better chance of keeping your home. Additionally, Chapter 13 offers special protection for cosigners, which means that you may not risk the financial security of friends or family members. Finally, Chapter 13 bankruptcy is often associated with lower monthly payments than other bankruptcy alternatives. Anyone can file for Chapter 13 Bankruptcy, even if they own their own business. One of the only hard and fast rules is that you cannot have had a bankruptcy claim dismissed or denied within the past 180 days. There are, of course, certain other qualifications that must be met in order to successfully file for Chapter 13, so your best course of action is to contact a Chapter 13 bankruptcy attorney in San Antonio, Texas to find out what your options are. Facing down extensive debts that you cannot pay is a stressful experience for anyone. However, there is no reason for you to allow your quest for debt relief to become a hasty Chapter 7 filing. Instead, contact a Chapter 13 bankruptcy attorney in San Antonio, Texas to find out whether or not you are eligible to file for Chapter 13 bankruptcy. In addition to offering more protection for anyone who may have cosigned with you in the past, Chapter 13 less commonly results in the seizure of your home, and often comes with significantly lower monthly payments. Get the debt relief you so deserve, and call a Chapter 13 bankruptcy attorney in San Antonio today. Bankruptcy is a hard decision, but it is sometimes necessary. Going through this ordeal is easier when you are armed with some good ideas and insights about what is going to be involved. Make sure that the lawyer you hire is an experienced bankruptcy lawyer. There is a long list of attorneys ready to take your case. Attorney rates can fluctuate and will often reflect the amount of service that you will receive from that attorney. Make sure you feel comfortable and confident with your bankruptcy attorney. You will be dealing with that attorney throughout your bankruptcy process. Do not delay in filing for personal bankruptcy. If this is the only option that you could take, waiting will only make things worse. Waiting can add to your stress level and will probably only make your financial situation worse. This can have a lot of negative effects on your life. When your monthly bills exceed your monthly income and there is no reason to foresee a change for the better in your financial situation, you can take control of your financial future with the help of the bankruptcy courts. Don’t put everything on your lawyer’s hands. While your lawyer does have the bankruptcy information, it is still important to stay involved in the process. While it may seem simpler for your lawyer to do everything for you, it is your money that they are dealing with, so you need to stay in control as much as possible. If you can’t afford to hire a lawyer to handle your bankruptcy proceedings, perhaps you might consider doing everything on your own. Those who do file their own bankruptcy often make mistakes that interfere with their ability to secure a discharge. Be sure you complete everything properly to prevent this from happening to you. Before making any decisions, seek the advice of an experienced bankrupty attorney. Most will provide a free initial consultation. 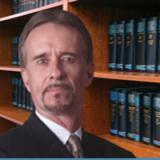 The Law Office of David T Cain provides confidential and free bankruptcy consultations.